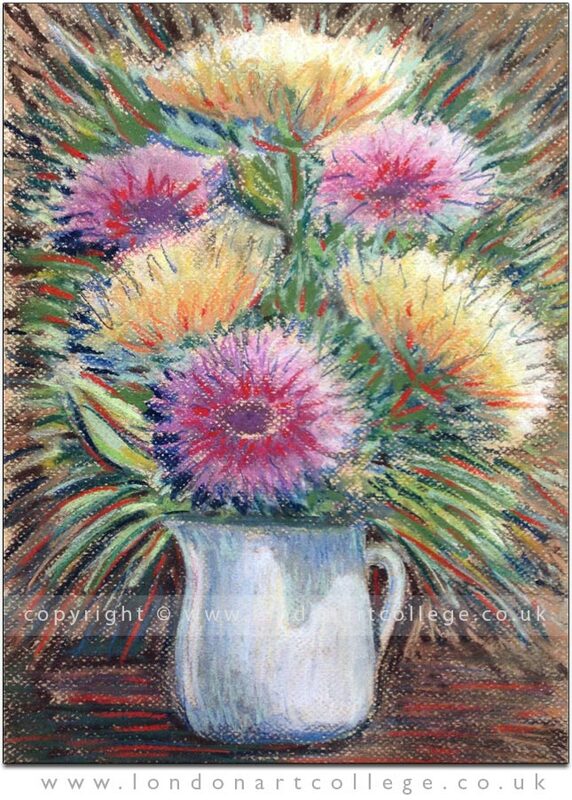 Elena Peres studied on our Pastels Course and created this wonderful painting of a vase of flowers. We love this! Its so happy and vibrant and it is sure to put a smile on everyones faces! Congratulations Elena on a wonderful painting. 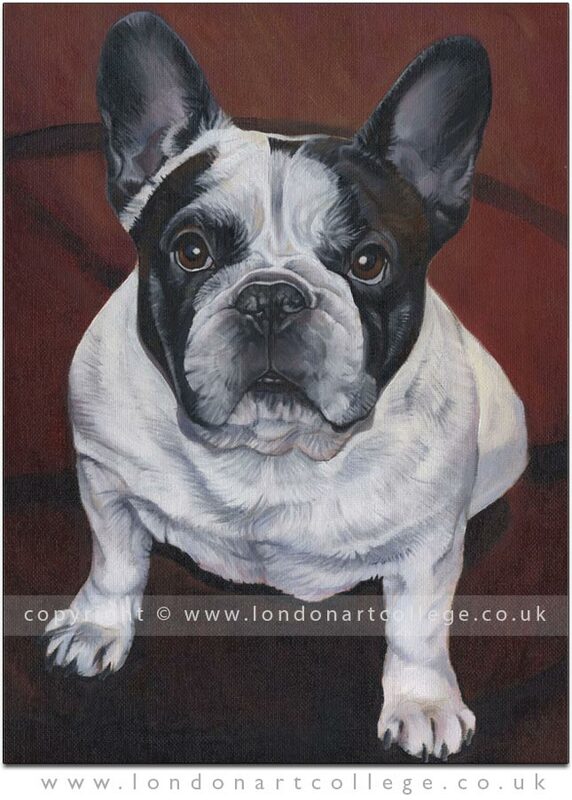 Brenda Brown created this painting for the Pet Portraits Diploma Course and what a painting! It captures the viewers eye immediately. The dog feels very three dimensional and works so well with the dark background. Well done Brenda! 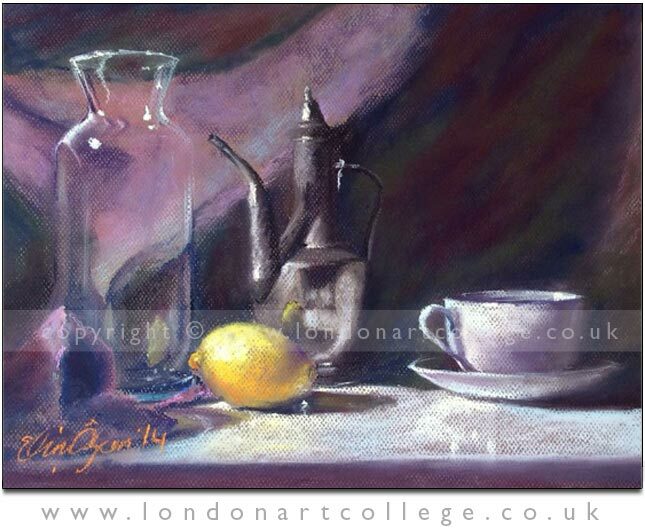 Elcin Ozcan studied our Pastels course and has mastered the medium beautifully. Her work is a delight to view, the light she has painted in this piece is wonderful and we never tire of seeing Elcin’s pieces. Congratulations! Emma Hollands passed the Pet Portrait Diploma Course with flying colours and this is one of her final paintings from the course. Emma handled all of the mediums well and as you can see below excelled at the oils. The way Emma has painted the background, textured but not too detailed to take away from the horse and allow him to be centre stage is awesome! We are sure that Emma will go far in her art career! Josephine MacLeod is studying on the Life Drawing and Painting course and completed this very rich, bold and intense portrait for one of her study units. We love it! Keep up the great work Josephine! 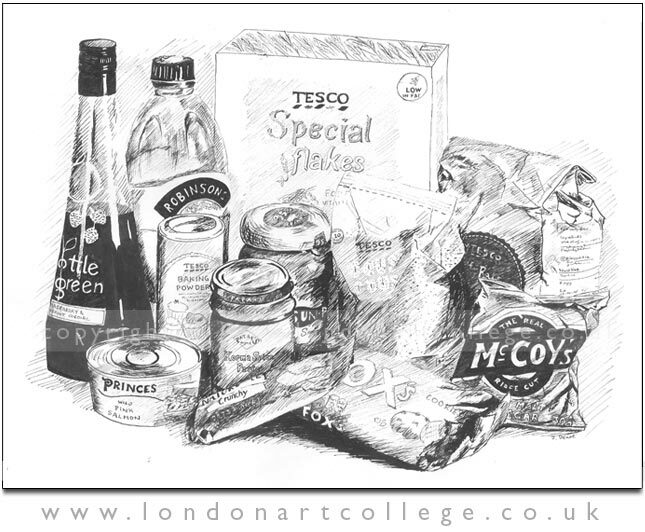 Joy Deane has been studying with Vanessa Weaver on the Art in Graphic Design Diploma Course and this is one of her still life studies in pen and ink. The composition is excellent, the way that each item has been drawn, the textures and lines are superb. We cant fault Joys drawing here and this kind of study is attainable for everyone. Practice your observational skills by drawing a collection of things from your kitchen cupboard from life – it really is rewarding! Emily Ashtons’ collage painting is just wonderful! Emily is studying with tutor Maggy Roberts on the Illustrating Children’s Book Diploma Course and it looks as though she is enjoying every minute. 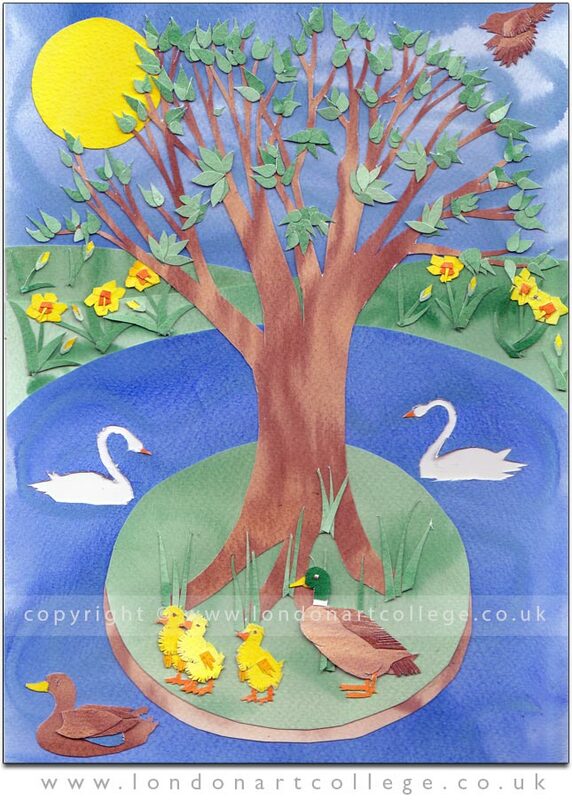 This piece is fabulous and very cleverly put together too, we love the fact that Emily cut the holes out of the blue pond to create the swans – superb! Hamzah Ahmad is studying the Landscape Diploma Course with tutor Alan Dedman and this is one of the paintings Hamzah created for his final study units. 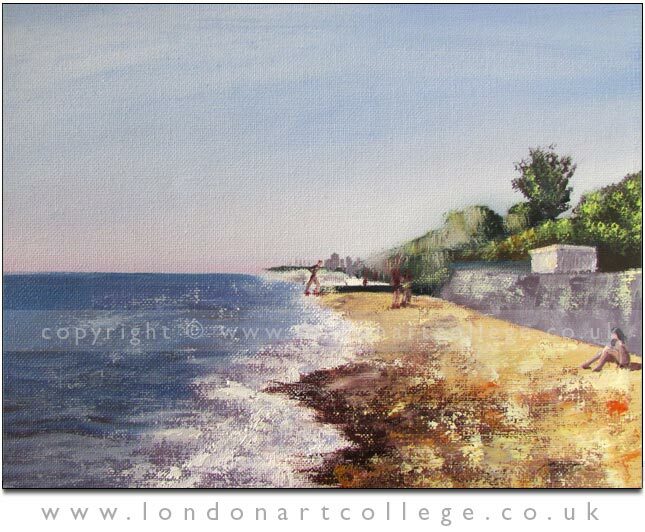 We love the peaceful and tranquil scene Hamzah has painted here, I think we would all love to be whisked away from our daily lives to relax on this beach don’t you?! This blog post needs no introduction from us, we are just left in awe at Ann’s talent and abilities. 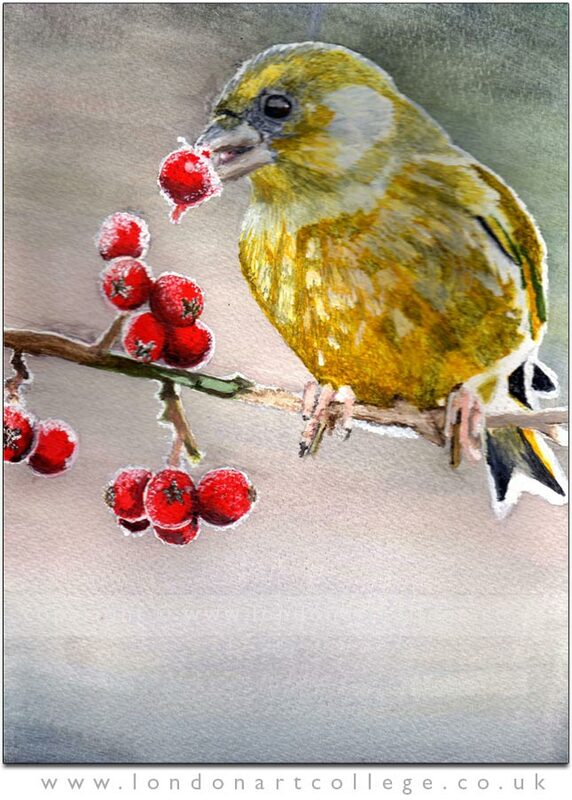 Congratulations Ann on having your artwork selected for the ‘Mouth and Foot Painting Artists’ Christmas cards. Read on to be inspired!! I met Tom Yendell in 2008 at the Mobility Roadshow and he gave me my first mouth holder. 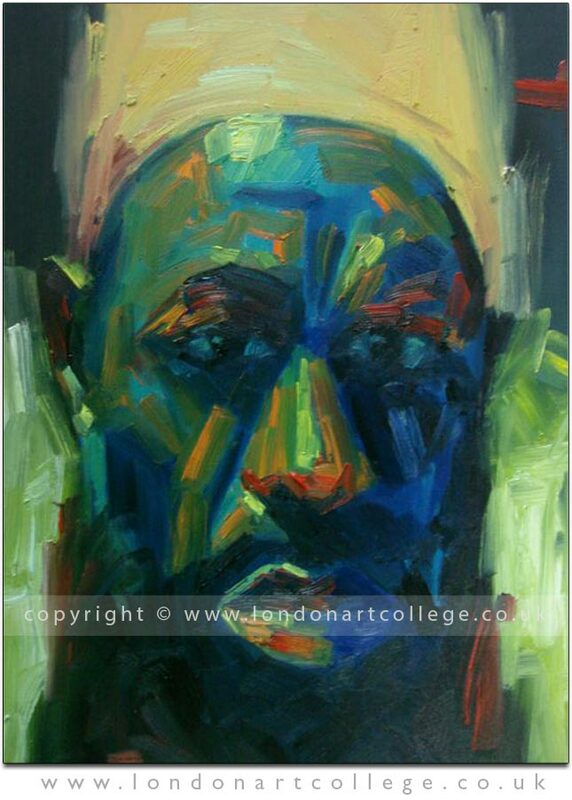 In 2009 I attended a five day course to learn to paint by mouth. Initially I undertook a beginners course in watercolour through Aberystwyth University. 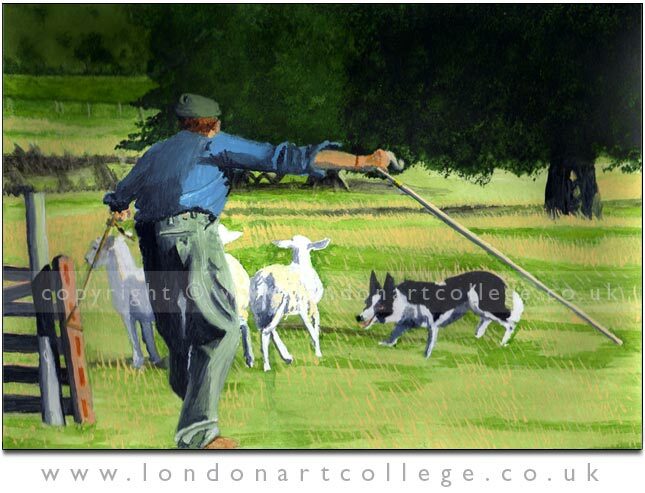 I have just attained a Diploma in watercolour with a distinction from the London Art College. 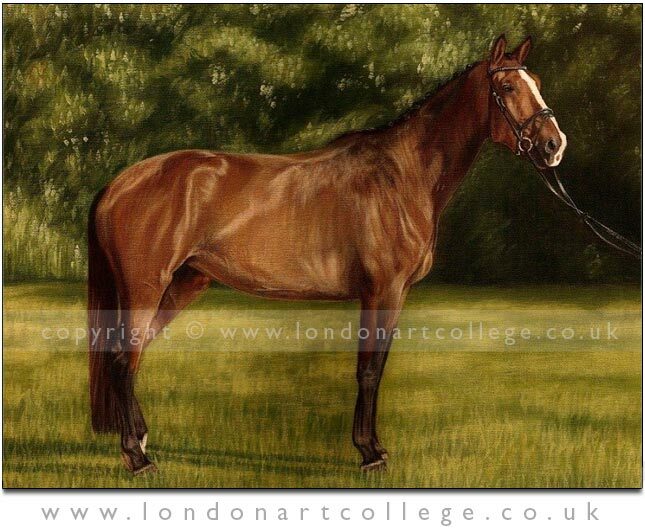 I have painted portraits, wild life, landscapes and events . I am just completing a series based on the 2012 Paralympics, before I start a certificate in oils with the London Art College. I belong to an art group SAA Machynlleth (Iris Doyle organiser), where I am not the only wheelchair user, but I am the only mouth painter. Painting lets me loose myself in the piece I am working on and forget all else. I am inspired by my fellow Mouth and Foot Painters and I hope to continue painting for as long as I am able. 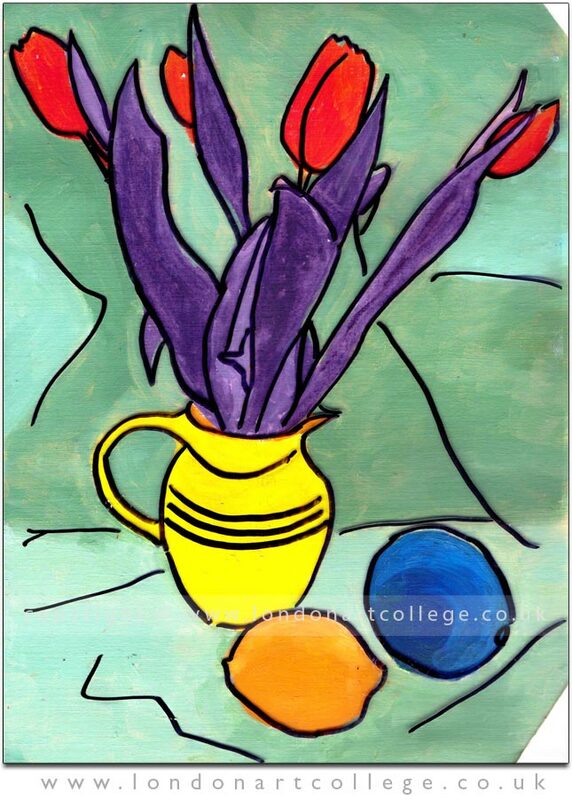 Elisabeth Planella is studying with Alan Dedman on the Oil Painting course and we were immediately drawn to this piece due to the amazing bold colours and composition. We love the black outlines to the objects, it almost gives it a stained glass appearance. Stunning! !